Bartons On Board! : Tytus Birthday Cake! Last Sunday my oldest son Tytus turned four years old. 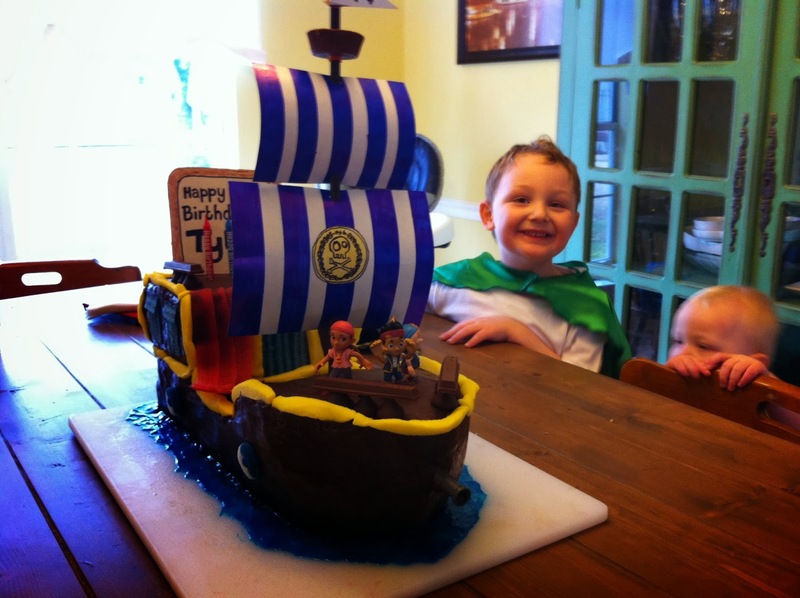 The theme of his party was Jake and The Neverland Pirates. 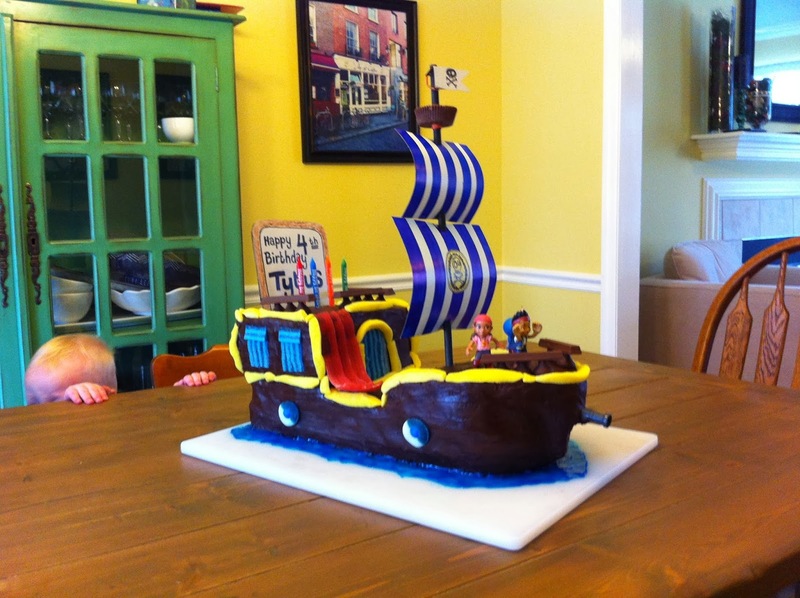 Pictured here is Bucky the pirate ship that sails around Jake, Izzy, Cubby, and Skully. Made of chocolate cake, various candies, a peanut butter cup crows nest, and a few unedible parts like poster board sails and a dowel rod mast. Yeah, he was super excited about it!